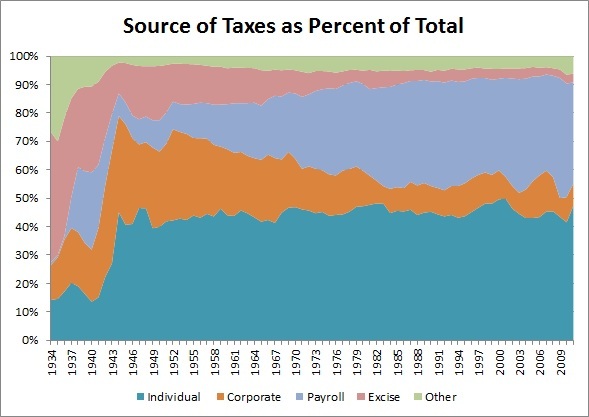 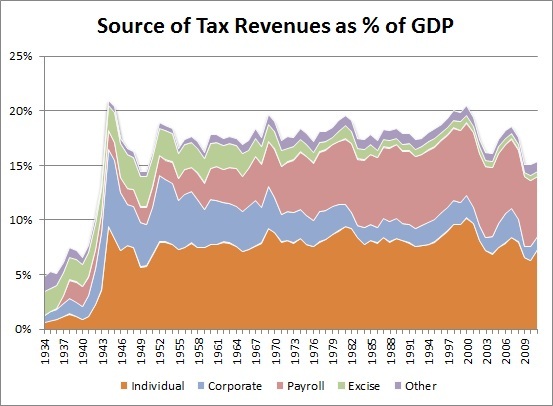 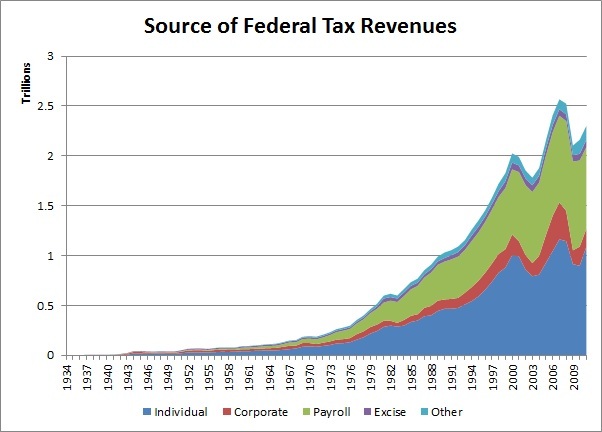 Today less than half of the federal tax revenue comes from individual income taxes. Nearly a third of the revenue is from the payroll taxes for social security and medicare. 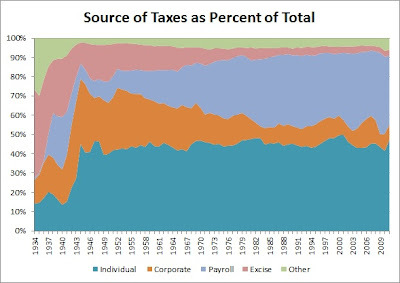 The rest is a combination of corporate, excise and other taxes. 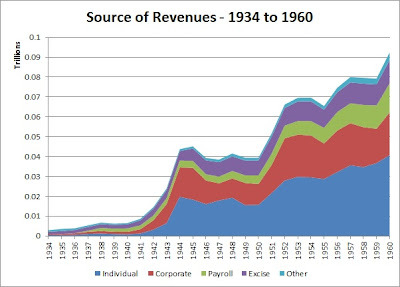 I got the historical data from the White House Budget pages. 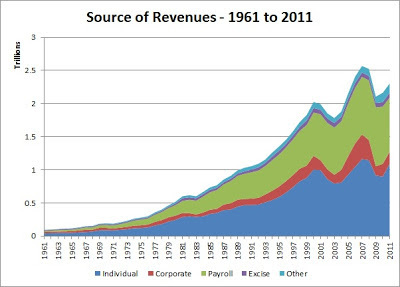 I pulled the numbers from the 2013 fiscal year budget and only used up to 2011 which is the latest full year of data (not including future estimates). 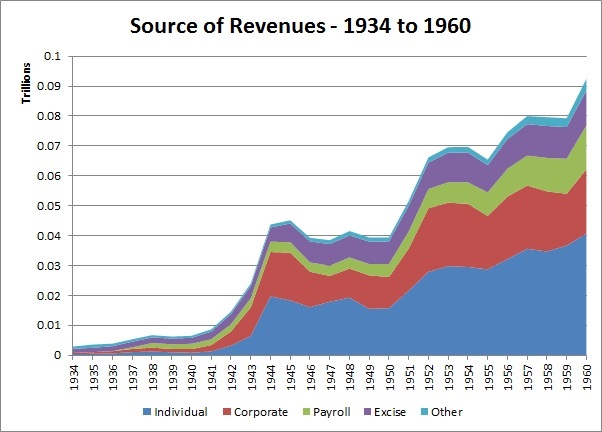 Putting it in relation to GDP makes the changes of the past 70 years a lot less dramatic.